Talk is cheap in the horse world, like most places. 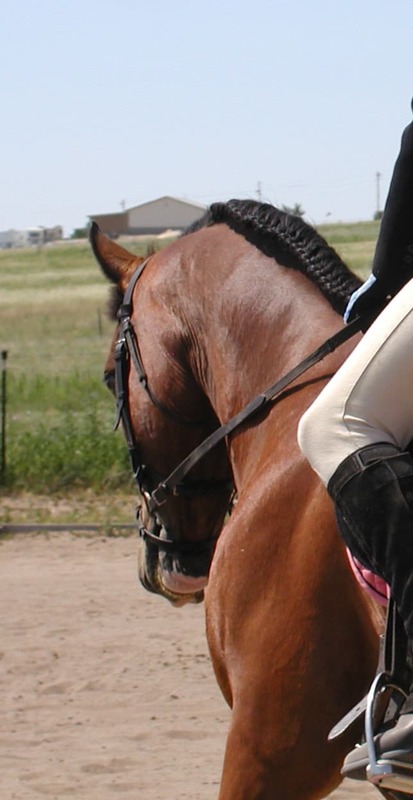 We talk about what our horses mean to us and the goals we have. Goals can be ambitious or humble but we all have a direction we are heading, even if the goal is deceptively simple- just being happy in the saddle. That part is the easy. Prioritizing our lives to accommodate the goal is where it gets more complicated. The first thing we notice is that horses take money! Seems sensible to make work a priority to support the horse. At the same time, work takes us away from the horse. If the truck breaks down, that might take an emergency trip to the top of the priority list, so you can get to work and then get to the horse. Unless of course, your trust fund is large enough that money is never a concern. Most of us are challenged with prioritizing time. We all want to think our schedules are harder then anyone else and somehow our dirty laundry is a bigger challenge than theirs. Can we just agree that we are all busy? We all work; some of us have kids, or elderly parents, or responsibilities that come with other priorities. No one I know is reclining on the sofa killing time eating bon-bons. The hardest priority list is the emotional one. Is my desire to grow worth the discomfort of change? Is my physical body willing to do what my brain asks? And the hardest question: What do I love more than my horse? Money? Time? Fear? Complacency? There is no wrong answer. You can be successful at any level of commitment, it really is your choice. Being an Olympic competitor isn’t right for everyone. Sometimes looking at a well fed horse in a pasture from your car has to be good enough for now. The problems arrive when there is a lack of congruency; when our goals and how we prioritize our resources are not in alignment. Maybe lessons would help the process, but you’re saving your money for a trip. Maybe you plan for a summer of horse shows, but you only made it to the barn once a week all winter. All of a sudden our passion and joy are laced up tight with stress and expectation. We all know who bears the brunt, literally, of that drama. Horses respond to that stress immediately. They are living lie detectors for who we are and what we are thinking. They reflect our our actual priority way more clearly than the words we say. Horses require that their riders be authentic. The simple truth is that the thing we put attention on, good or bad, is the thing that grows and flourishes. First, check your priority alignment. Do you have any priorities that not supportive anymore? Some of us make choices as if our parents are going to punish us later. Maybe at this age, you don’t have to clean your room before you go out to play on Saturday morning. A more productive plan might be to do chores after dinner on Wednesday. Or maybe you train yourself to not make the mess in the first place. This is where I say discipline is my best friend. It doesn’t restrict me or force me to fit a mold. Discipline is raw power. Discipline + Priority = Living the Dream. Mr. Dorrance says the two most important things a good horseman does is: 1. Be consistent. And, 2. Change things up. I think he is right, not that it makes anything clear and simple. The most important thing that I know about horses is that if you want more, first you must give more. No matter how much you are giving now, to continue with horses, you will be asked to find a way to give more of everything: time, money, heart, and soul. Period. Reconsider. It isn’t too late to take up gardening. If quitting isn’t an option, know that priority choices are the balancing point between frustration and happiness. Priorities need tweaking constantly, but if something isn’t working, complaining rarely helps. Just change it. Make sure your goals are your own. Don’t compare your unique horse and your individual self to anyone else. Do it your way- wear jeans in a dressage saddle, use a bit-less bridle, cross train with broom-ball. Find the balance in wanting what you can have, and then smile. If you aren’t happy, your horse isn’t happy either, so find a way to show some teeth. ← Weekly Photo Challenge: Lost in the Details. Every week it’s like you’ve been reading my mind! And gardening…no. Reading your mind? Well, that’s the good news and the bad news. This is an absolutely awesome post. I love how you embrace discipline as a freedom maker. So true. Gardening is expensive too and the rake doesn’t whicker at you in the morning….